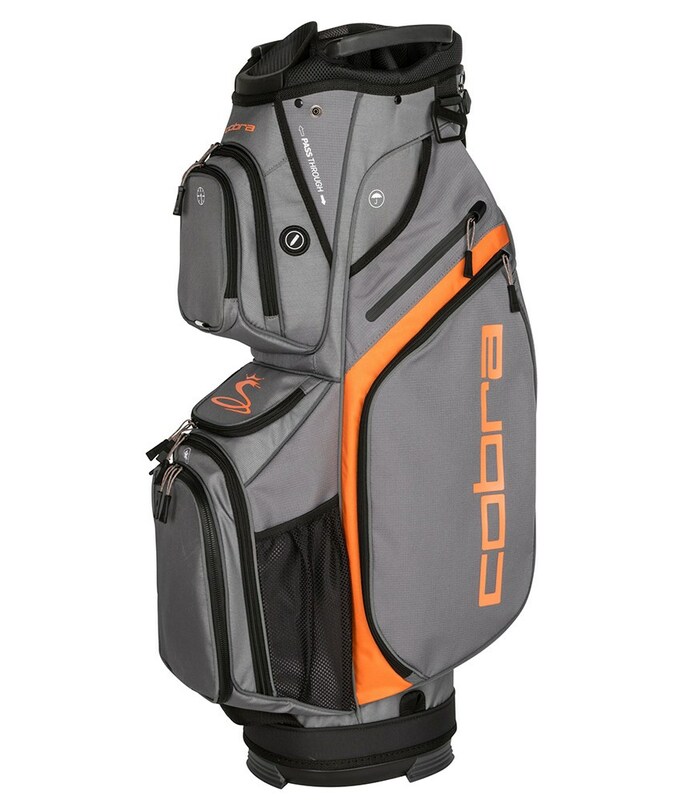 Lightweight and appears to be well made, smart looking bag that’s sits well on my trolley. 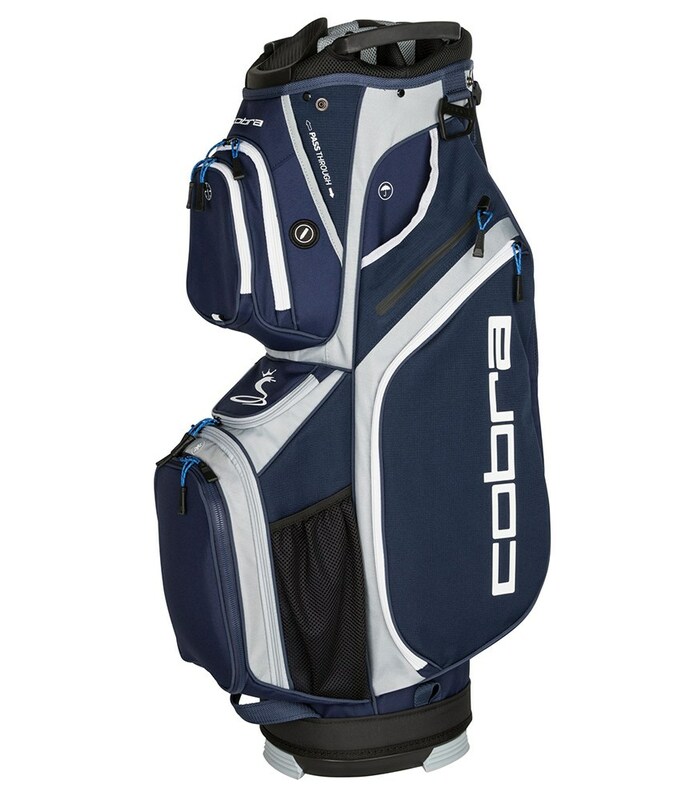 Particularly like the full length club dividers and large putter slot. 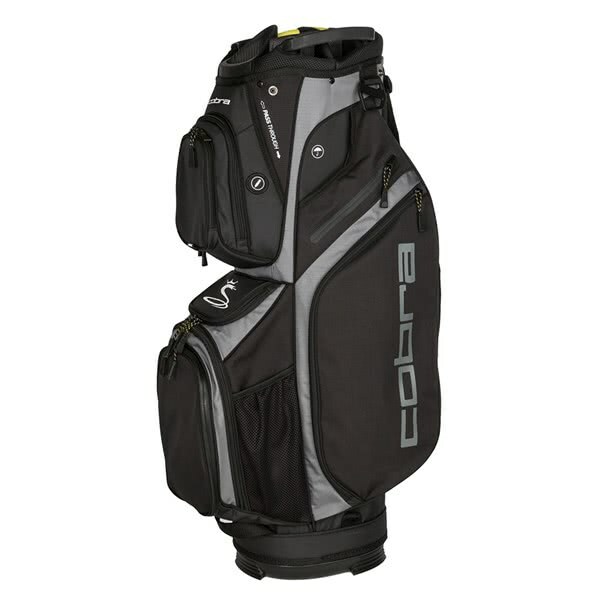 The Cobra King Ultralight Cart Bag is the ideal bag if you prefer to have lots of storage room for all the gear you take around the course. 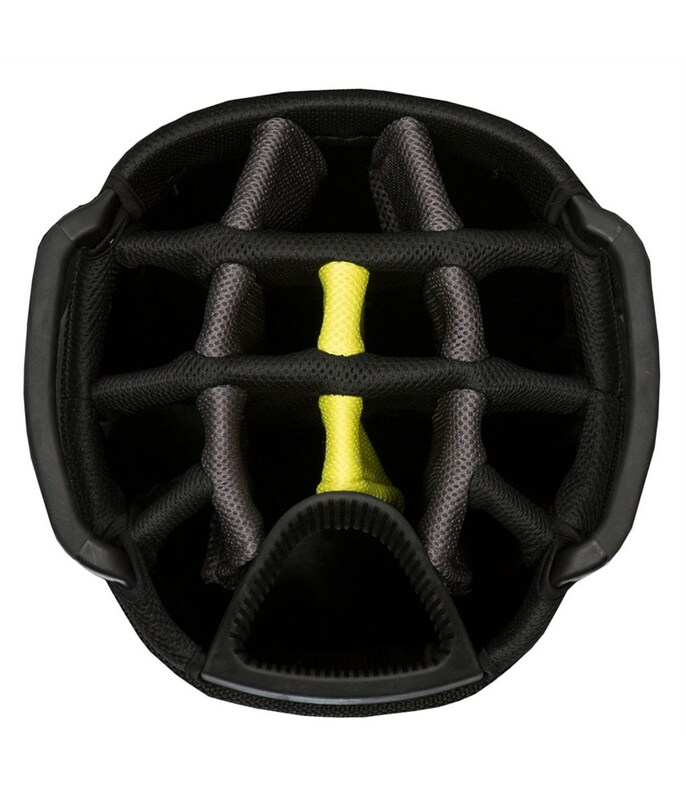 A total of 12 pockets have been incorporated into the design. 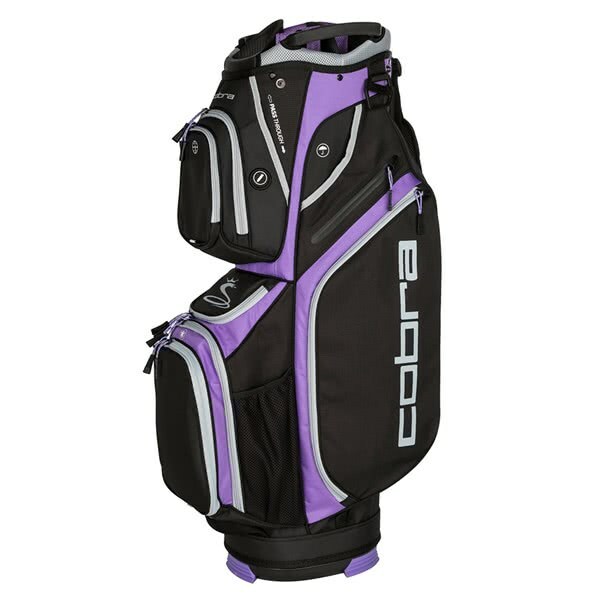 All of the pockets are forward facing allowing for easy access when on a trolley or buggy. 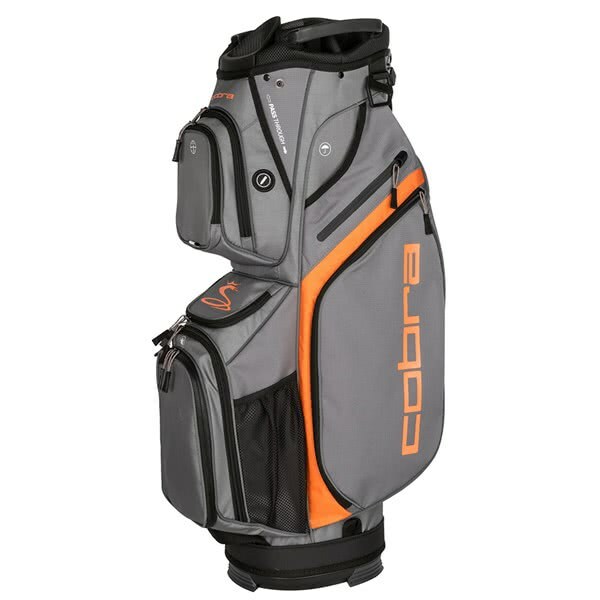 The oversize apparel pocket features a key clip, the valuables pocket is fleece lined and the insulated beverage pocket will fit large bottles of water. 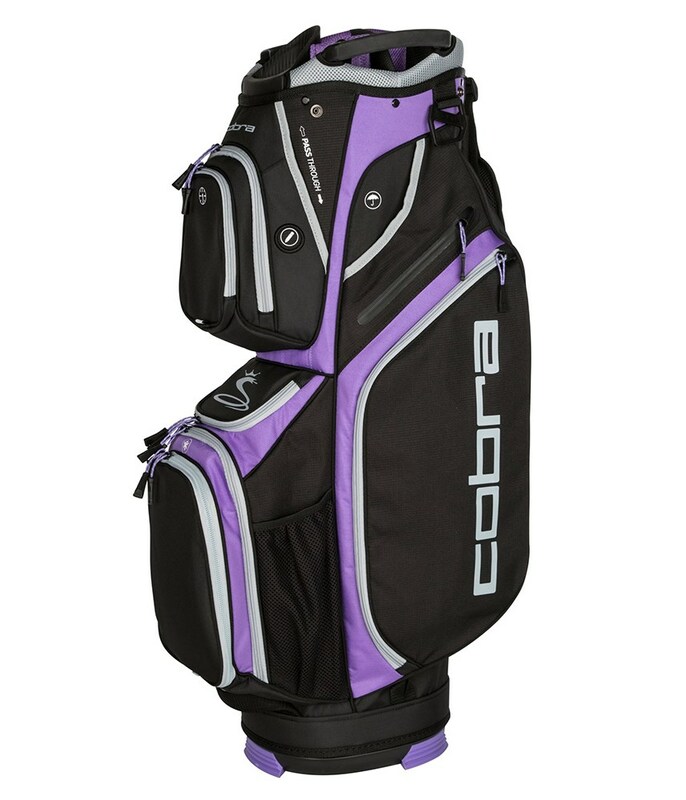 The other multiple pockets are ideally located to store your smaller accessories. 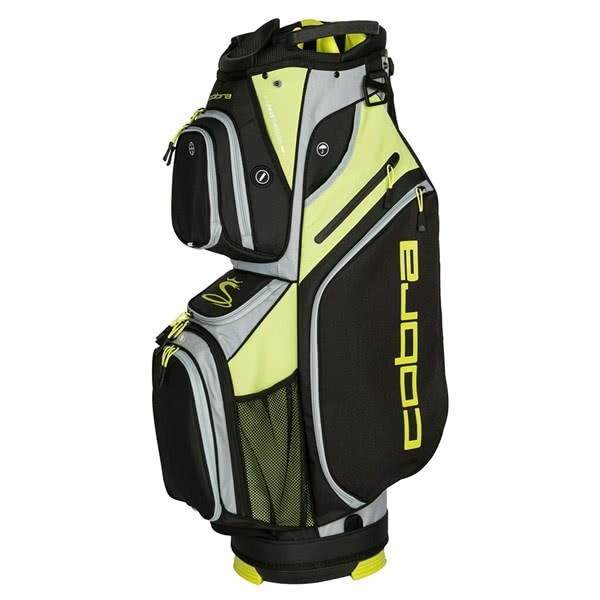 To provide a secure fit on a trolley or buggy Cobra have used a cart friendly base unit and a cart strap Pass-Through on the top design of the bag. 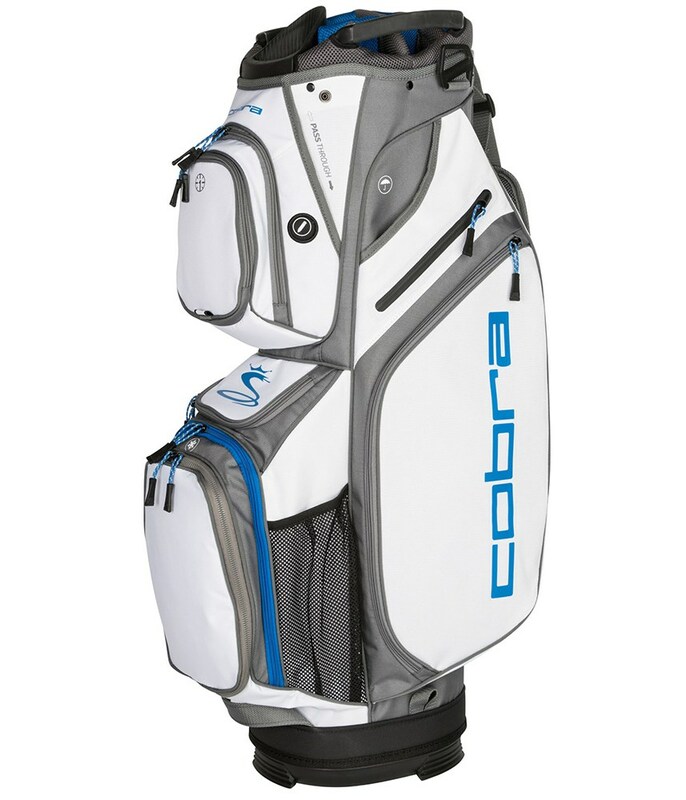 A 14-way, full-length top design delivers incredible club management and protection to your golf clubs. 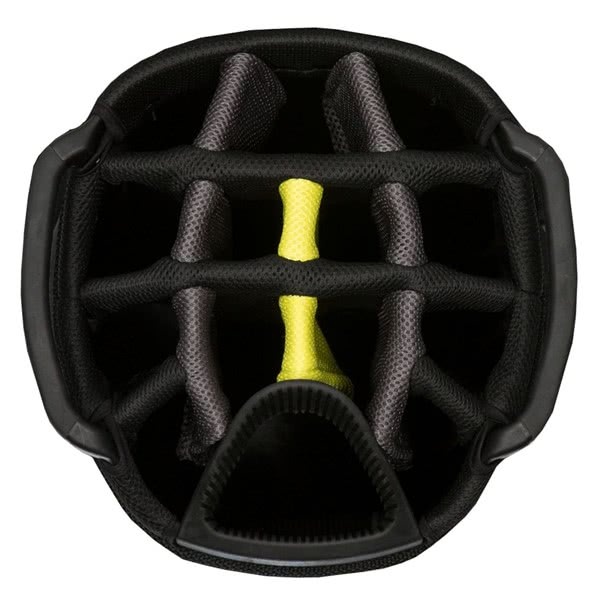 An oversized putter well has been incorporated into the design as well as a multi grab handle design that will make lifting and loading much easier. 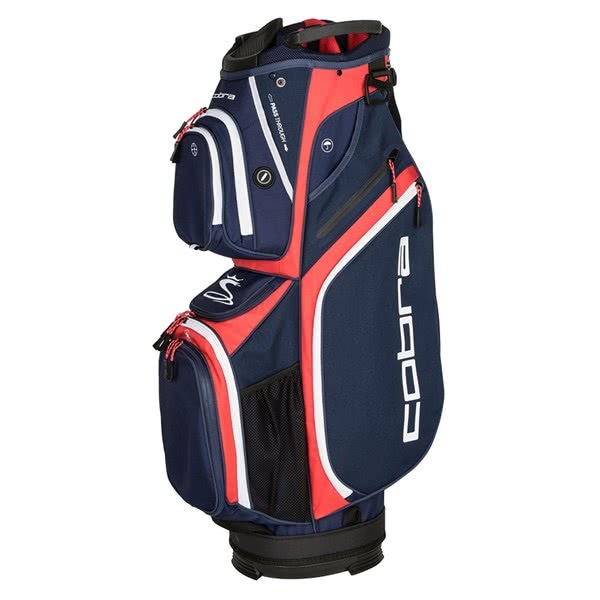 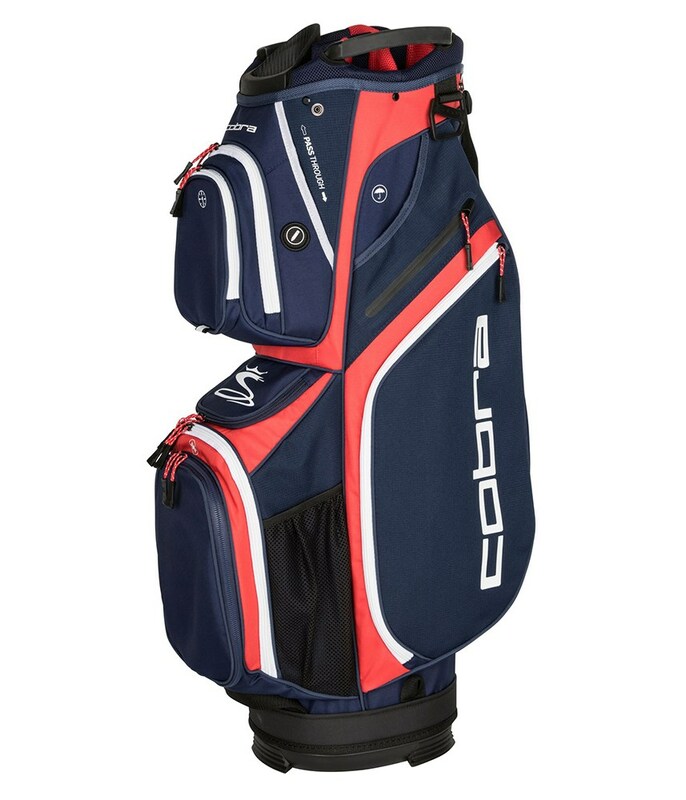 Should you need to carry the King Ultralight Cart Bag, Cobra have used a single, adjustable padded shoulder strap made from COOLFLOW foam. 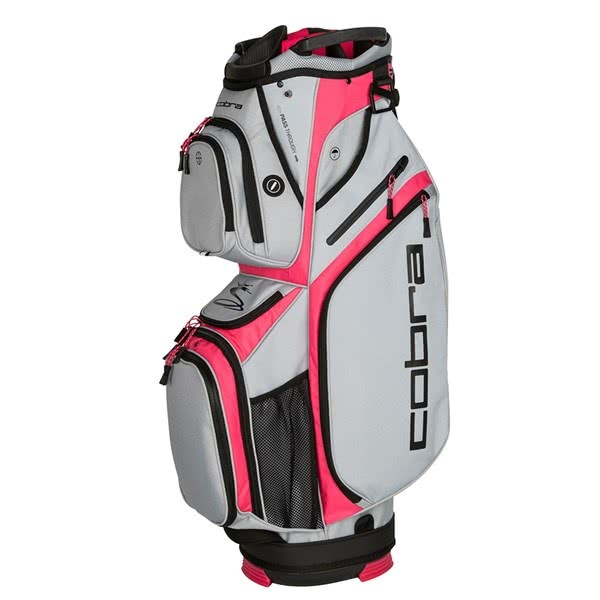 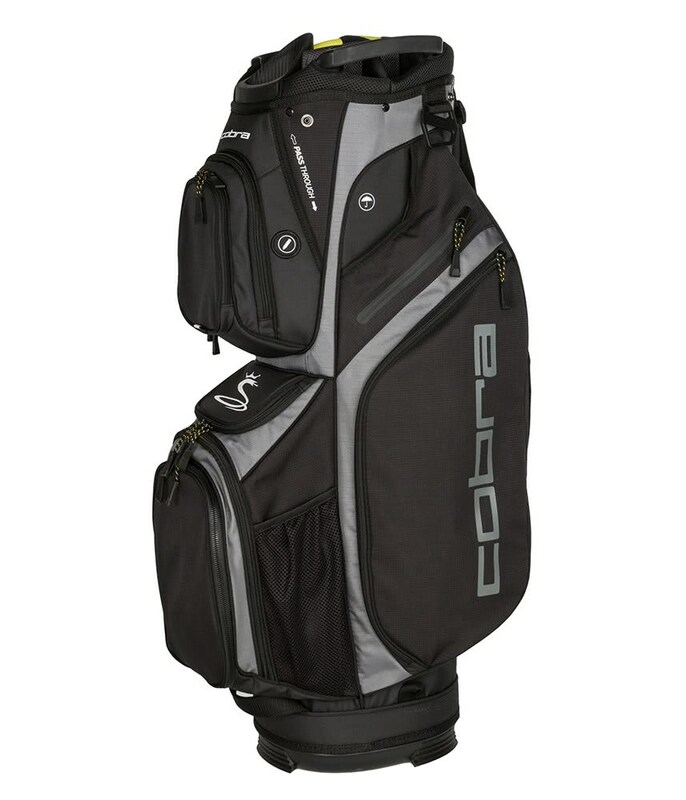 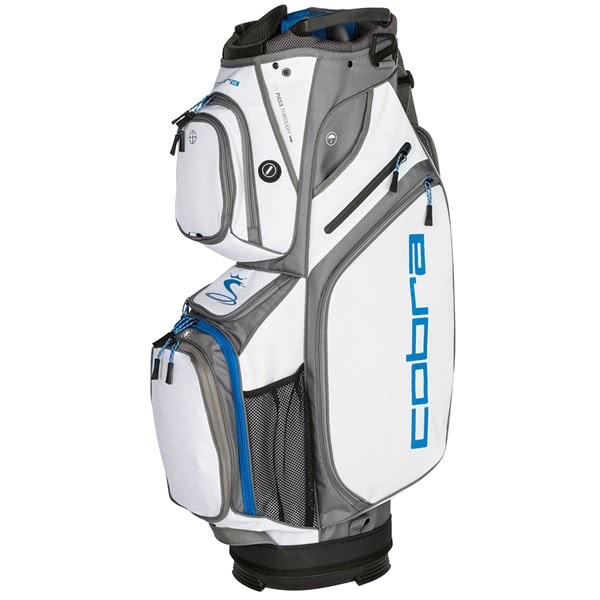 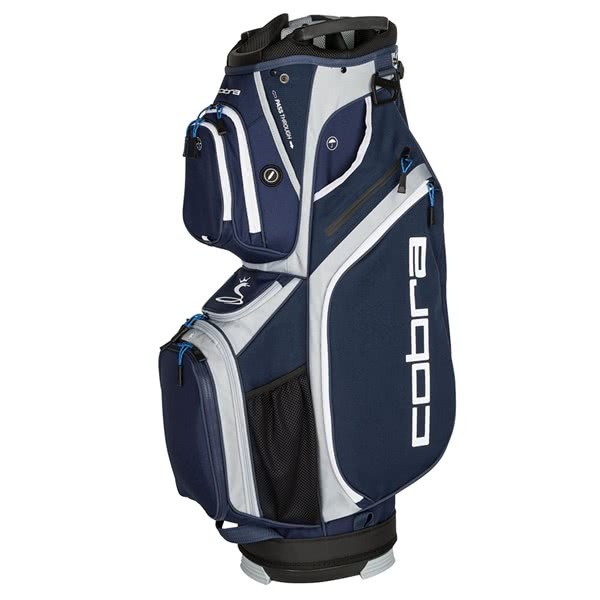 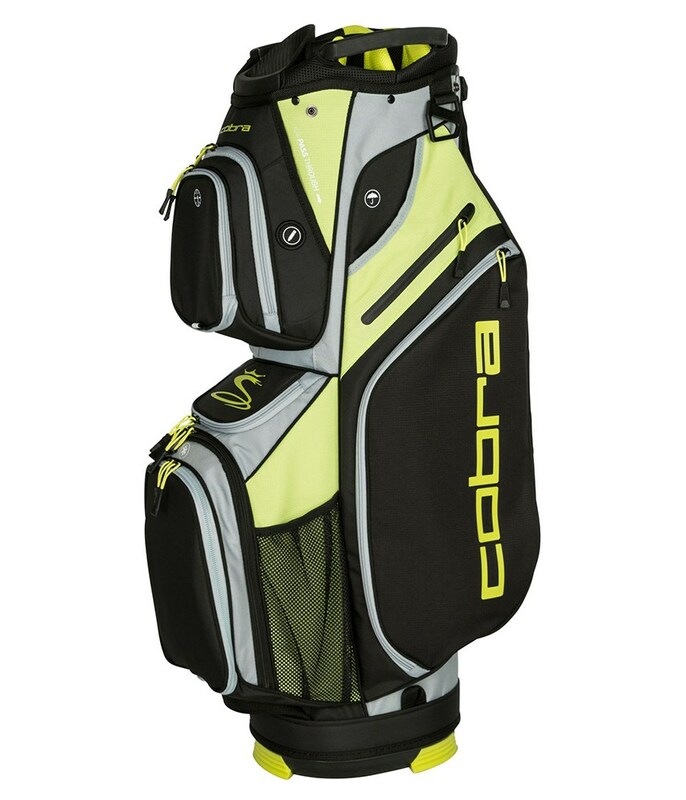 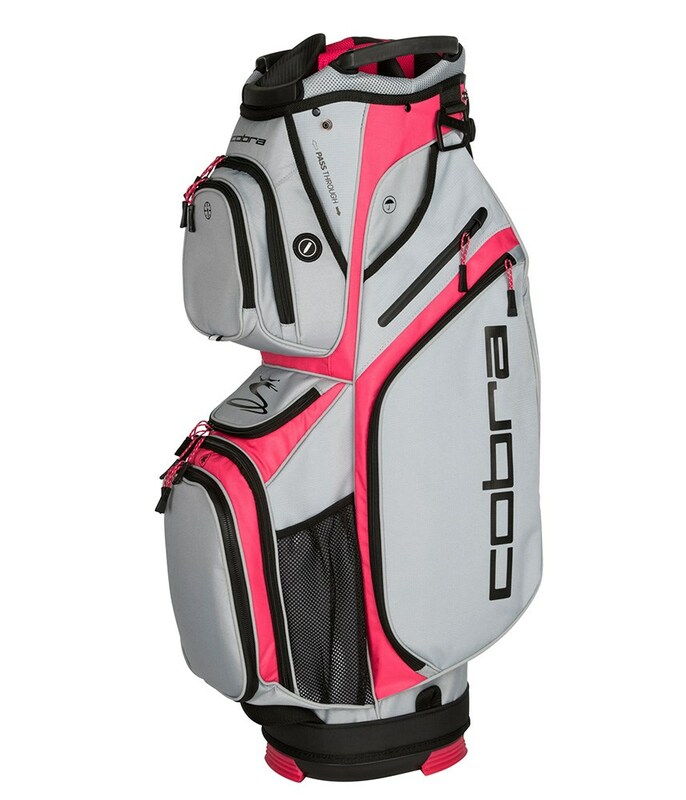 Cobra have used an ultra lightweight construction to design the King cart bag, the empty weight is only 5lbs.